Welcome to the Stamford Author Event weekly promotional spotlight! When Alex’s bandmates invite a girl to sing lead, a battle of the sexes becomes a battle over something unexpected. . . A girl tells her friend about hooking up with longtime crush Fred, but his kisses are not what makes that night in his car memorable. . . A therapy session with Doug might just make Jason go insane again. . . Wallfower Aubrey hooks up with Gordon after the cast party, which would be fine if he weren’t the most forbidden fruit of them all…Savannah certainly doesn’t sound like a convicts name, so maybe hanging out with her isn’t all that dangerous. Miki is committed to getting over Dex, yet she can’t get him off her answering machine—or her doorstep. In between puffs of cigarettes and attempts to smear lipstick on her face, Allie’s grandmother dishes out advice that maybe Allie should take. . . And finally, what’s a girl to do with Satan as both her boss and father? Nine short stories pose the questions we obsess over whether we’re growing up or all grown up: Who should I love? Am I doing the right thing? Is there ever an end to heartbreak? 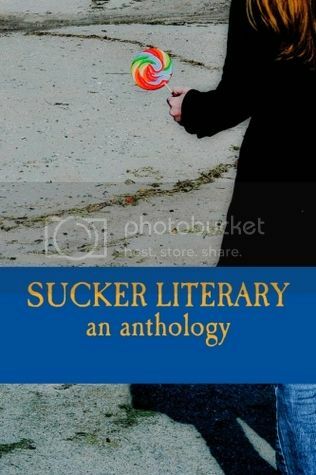 In its second volume, SUCKER continues to showcase the very best emerging talent in young adult literature and give (some of) the answers to Life’s Big Questions along the way. Hannah Goodman, M.Ed, MFA, is a YA author represented by Erzsi Deak of Hen and Ink Literary Studio. She is the author of the YA novel, My Sister’s Wedding, which won the first place award for The Writer’s Digest International Self-Publishing Contest, 2004, children’s book division. She published the follow-up, My Summer Vacation, in May 2006, which went on to win a bronze IPPY in 2007. The third Maddie book, Fear of Falling was released in the fall of 2009 and was praised by teachers and readers for tackling subjects like homophobia and coming out. She’s published young adult short stories on Amazon’s Shorts, in an anthology entitled Bound Is The Bewitching Lilith, and in the journal Balancing The Tides. She also has written columns for The Jewish Voice & Herald. Her newest endeavor is Sucker Literary Magazine, featuring undiscovered and new YA authors.